Maximum Attack Modelli from Italy - Hi! Hi, I' m Francesco from Italy. First of all I' d like to thank reeft1 who sugguested me this forum. I' m a collector of 1/43 rally models. I' m interested in every kind of rally, any period, any place. So I have in my collection a lot of different cars: from the older Targa Florio or Tour de France Auto ones, in example, to the modern WRCs. I also love improving some cheap 1:43 Altayas. This is a pic of my only cabinet. I' ll show you some WIP of the kits I' m actually doing as soon as I can. Re: Maximum Attack Modelli from Italy - Hi! Welcome Francesco. This is a very dangerous place to be - we are all model addicts on here so you will be a very poor man from now on. Happy collecting and I like your photograph. Your english is excellent - much better than my Italian will ever be. One of the problems some of us have is getting photographs from older rallies of rally cars so that we can make models. Hence if you know of any old rally photos you might post the details on here- I have recently done a collection of 1964 Monte Carlo cars for which it was difficult to get colour photos. Being a model builder I think it' s very important to find the right photos before starting a work. So I usually surf the net and my little book collection to find something useful. This is a very good site, with a lot of pics. You may find it interesting. Francesco - welcome to the forum! Great collection - we have a wide variety of rally themes, and sizes! (1/43 and 1/18 are the two most popular although a recent member is working on 1/200!) Anyway, it's great to have you on board - i was very impressed with the detail in some of your builds - you are very patient! Welcome to the forum. Very nice collection you have. Enjoy yourself on here. We like to think were a friendly bunch. Collecting Rally Models Can Seriously Damage Your Wealth!!! 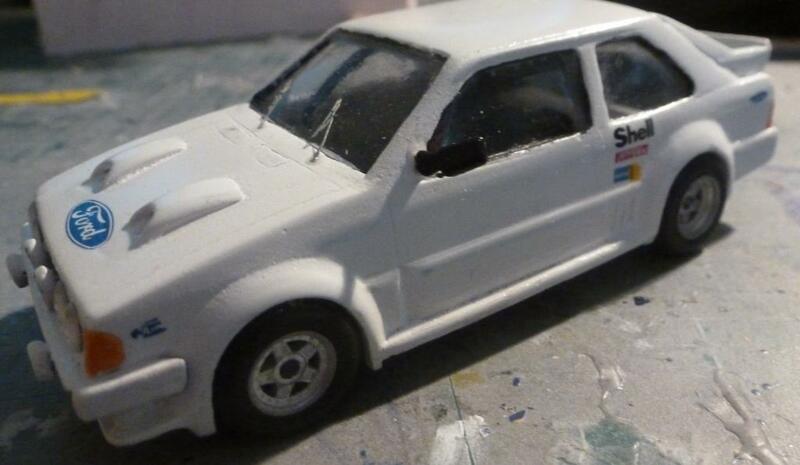 If you like Manx Rally models check out through the Search button Manx 50th. reeft1 wrote: Francesco - welcome to the forum! Great collection - we have a wide variety of rally themes, and sizes! (1/43 and 1/18 are the two most popular although a recent member is working on 1/200!) Anyway, it's great to have you on board - i was very impressed with the detail in some of your builds - you are very patient! @CDM: I can' t find any pic of your model display. But I' m looking forward to see it. Could you post some photos here? Thanks. I' d like to thank you all for your kind welcome. I think it' ll be a nice trip here. It' s nice to see that once built this kit is not so bad even if it' s quite old. It' s one of the best pieces in my kits collection. By the way, being your first one is quite good. It only needs a better painting. But the rest fits very well. If you want you can remove the paint and do it again. It shouldn' t be difficult to find all the decals. Welcome aboard Francesco Looking forward to seeing some of your builds, always great to see some different drivers and cars, especially when they are kits. You wont be able to see CDMs collection for the moment as this is a paid membership forum. Basically to get full access you will need to become a paid member (it only costs £3 per year) but there there is a huge wealth of information/builds/collections in the members section. brian wrote: Welcome aboard Francesco Looking forward to seeing some of your builds, always great to see some different drivers and cars, especially when they are kits. You wont be able to see CDMs collection for the moment as this is a paid membership forum. Basically to get full access you will need to become a paid member (it only costs £3 per year) but there there is a huge wealth of information/builds/collections in the members section. welcome aboard francesco..............you're in the proper place for your interests believe me...enjoy! Welcome to the Forum Francesco..........this trip will become an addiction, and there is no tablets to cure it............enjoy!!!!! !